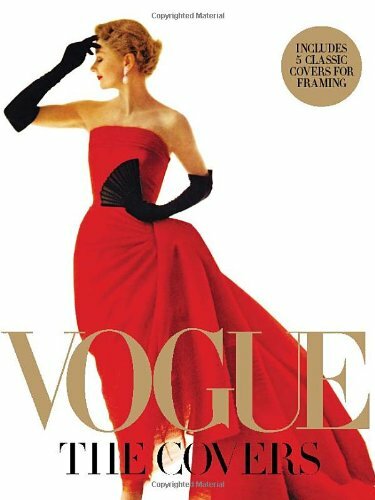 It should come as no surprise to find that Ms. Kazanjian’s opus is all about the covers of Vogue magazine starting from its inception in the 1890s to the present time. The chronology starts from its illustrated beginnings to its present tense—including an abundance of the great fashion photographers of the 20th century. The volume has lushly reproduced so many of the iconic covers that fashion lovers have come to know over the last 100 or so years. What is particularly enlightening is to explore the visual changes that occur through time and the influences of each of the editors who manned the helm of this famed fashion publication at different times. One can readily recognize the stylistically divergent works of cover photographers such as Avedon as opposed to Penn as well as the difference in tastes and influences of editors such as the grandiosity of Vreeland, and the simpler, less grand style of Grace Mirabella. Ms. Kazanjian doles out just the right amount of verbiage without overwhelming the true beauty of Vogue: The Covers. In short, Vogue: The Covers is a great conversation piece for your coffee table and definitely worth the read for even the most seasoned of fashion addicts. Christmas is but a stone’s throw away—and what a stylish gift for that special someone.